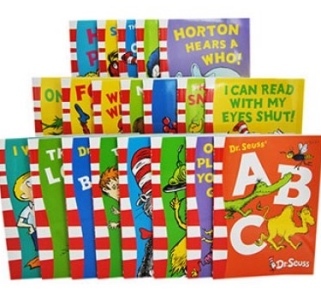 Take a tour through the Dr Seuss sculpture gardens! 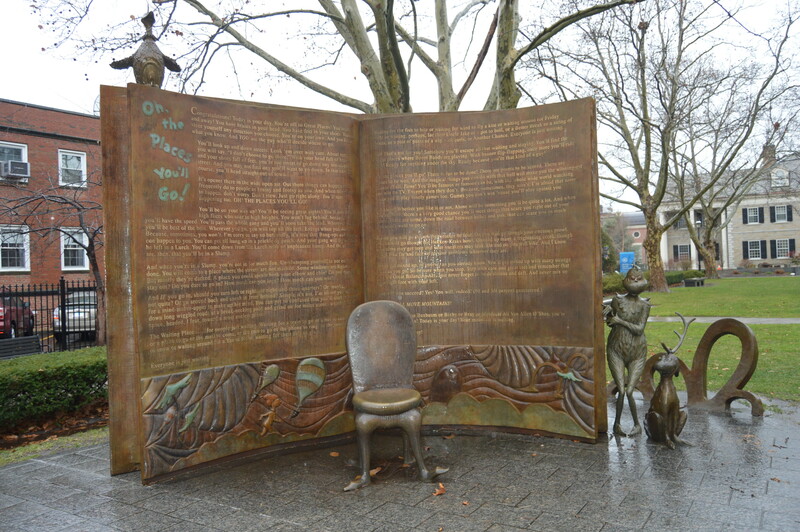 The Dr. Seuss National Memorial Sculpture Garden was opened in 2002. 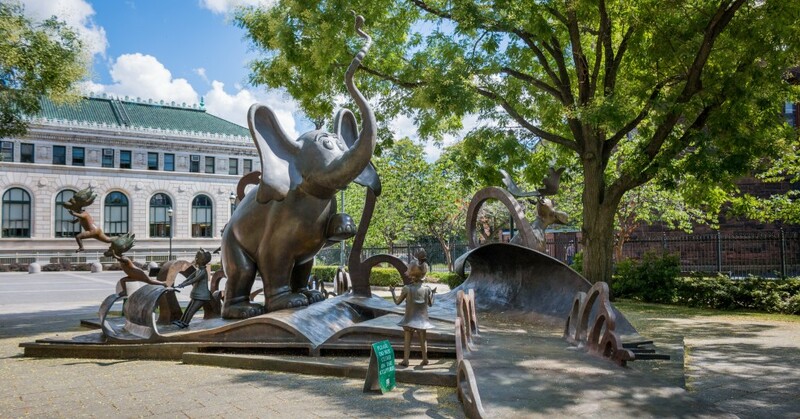 The idea for the garden was first imagined when the author visited Springfield in 1986, and after his death in 1991 his widow Audrey gave her blessing for his work to be immortalised in a memorial garden full of bronze statues. 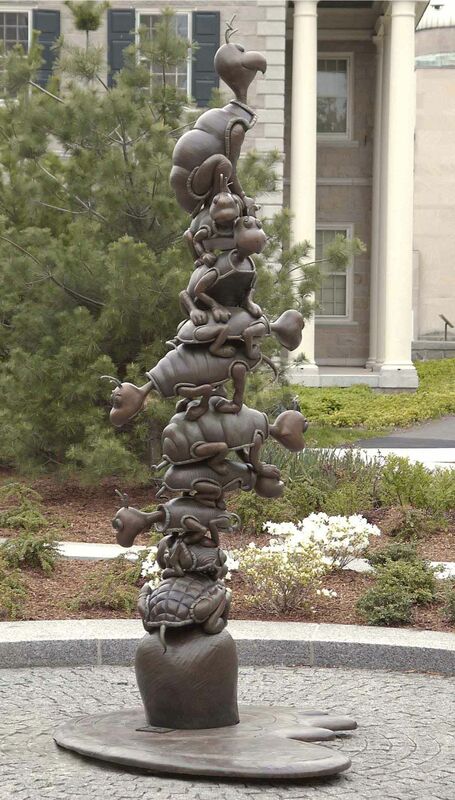 Seuss’s own stepdaughter, sculptor Lark Grey Dimond-Cates, made over 30 statues in bronze for her late step-father, and the statues are set among the grounds of Springfield Museum. 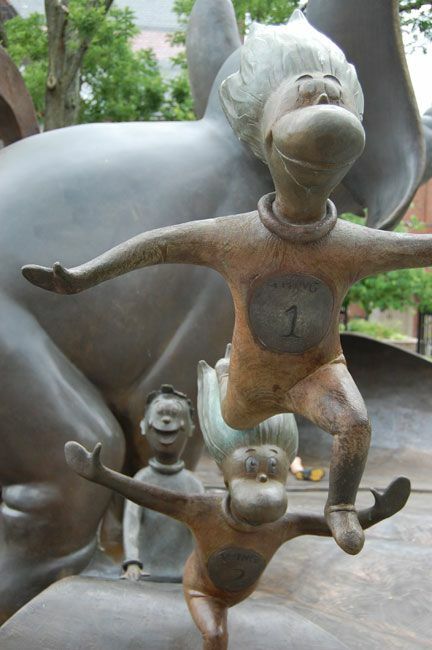 Surrounded by art and science museums and galleries, Seuss’s garden is a fun, exciting, but surprisingly peaceful, place to visit Lark captured his and his character’s spirits perfectly in bronze. Watch a tour around the gardens below!